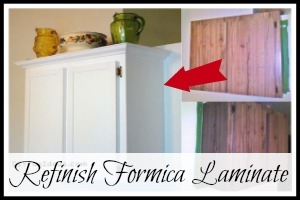 The cabinets were solid wood and while they were old, ugly and dated, they were in really good condition. 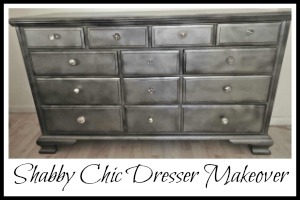 So to keep the makeover budget friendly, she decided to paint the cabinets. She started by removing the cabinet doors and giving everything a good scrubbing with TSP cleaner to remove any grime. She didn’t like the design that was cut into the front of the doors, so she filled it in with spakle and then sanded everything down. The cabinets were primed and then painted with a water based enamel in pure white and new hardware was installed. 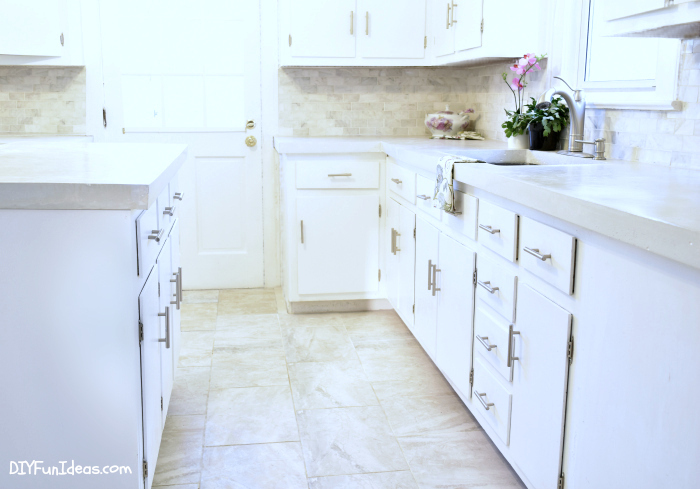 The old vinyl flooring was ripped up and she laid new floor tile, along with a carrara marble subway tile backsplash. 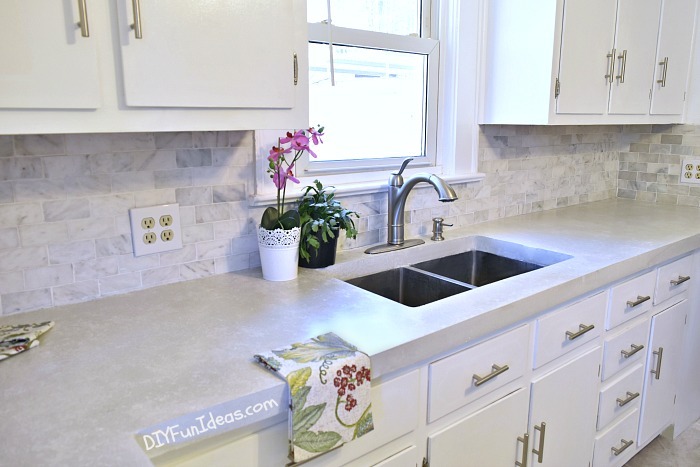 But the real star of this makeover is the brand spankin’ new pour-in-place DIY white concrete countertops, courtesy of moi–thank you very much. 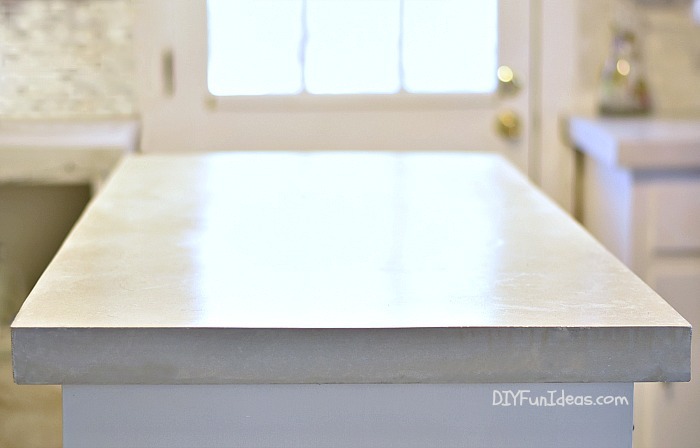 CLICK HERE for the full tutorial on how to make your own pour in place concrete countertops! 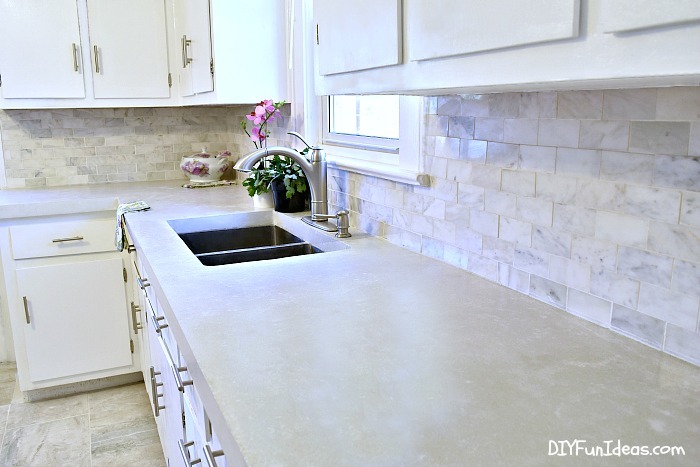 And if you decide to build your own concrete countertops, Z Counterform, the company that sells the white concrete is offering a limited time 15% off discount. But it’s only available until May 31, 2016, so don’t wait too long. CLICK HERE for all the details on the 15% off discount. Are we talkin’ gorgeous or what? And wow, what a huge before and after difference! And see that island? That used to be attached to the cabinet on the right. She separated it off, put caster wheels on it and made it into a moveable rolling island. So it can now double as a buffet in the dining area to the far right of the kitchen. My girl, J, always dreamed of an all white kitchen. And she’s also been really digging the concrete projects I’ve been working on. So concrete counters were on her mind. But the question was, how the heck do you get them in white? Well, after a bit of research I found an answer. Z Counterformshas a white concrete countertop mix. Z Counterforms uses a pour-in-place system for their countertops. I’ll be posting a full tutorial on the process next week, but the gist of it is that you attach a concrete backer board, which can be found at any home improvement store, to the top of your existing cabinets, then screw in Z Counterform’s countertop edges. Next add their lightweight fiberglass mesh for extra strength, mix, pour, and finish. 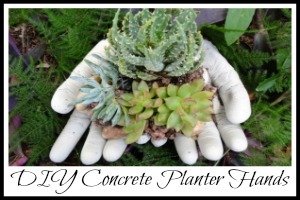 If you’ve never played with concrete, DIY concrete countertops may seem a bit intimidating. 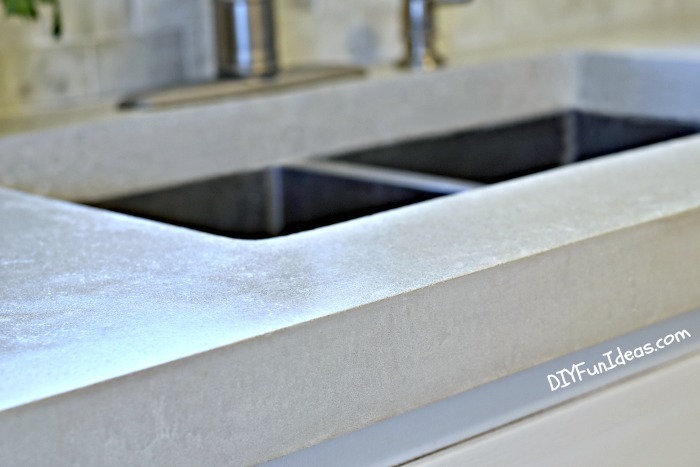 But I think the Z Counterform system simplifies the process nicely, while also making beautiful concrete countertops affordable for the do-it-yourselfer. 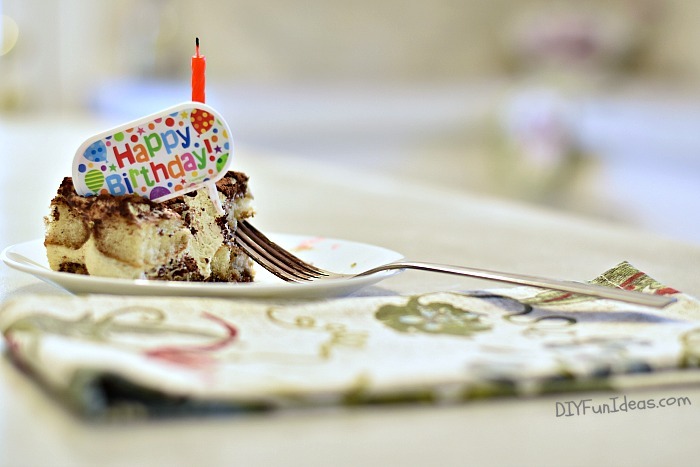 We celebrated in her gorgeous brand new kitchen with some tiramisu. But she could have waited for me to finish taking photos before digging in. Right? I can’t blame her too much, though. It was REALLY good…and..um..well, I might also be a little guilty myself. But I admit nothing. 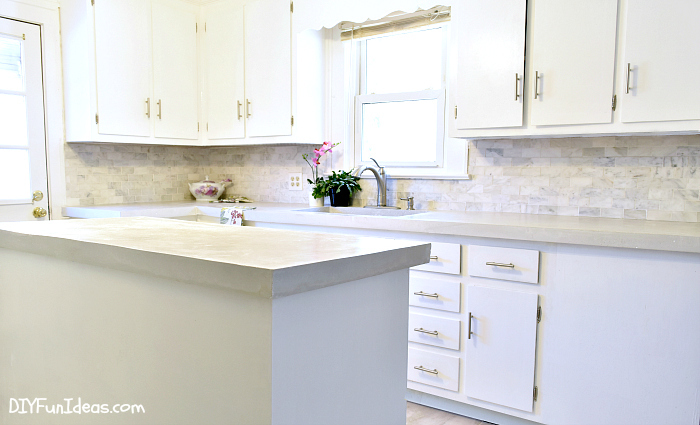 So there ya have it…a brand spankin’ new, drop dead gorgeous white kitchen makeover with beautiful white concrete countertops. 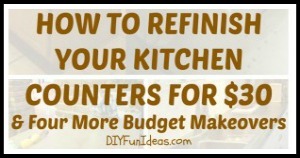 CLICK HERE for the full countertop tutorial, along with a 15% discount off your entire order. The discount is good through May 31, 2016, so don’t wait. 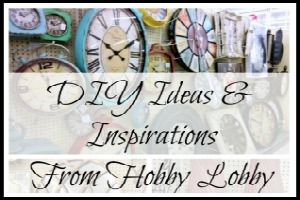 And don’t forget to Pin this to your favorite home decor board! I’m really looking forward to the tutorial on the countertop. Would you please elaborate more on what she did with the cabinet doors! Please. I can see the front of them with the before pictures but not the after pictures. Thanks much. Beautiful kitchen, fantastic work. Hi Sue, Thanks so much! 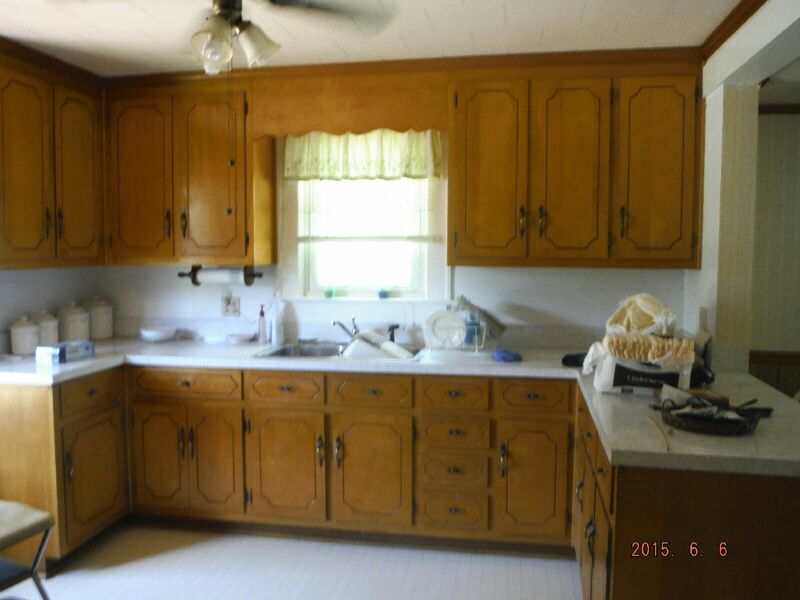 Well, on the before picture do you see that there is a design on the cabinet doors and draws? Well that design is actually carved into the wood. So to give the cabinets a more modern feel, she filled that design in with spackle so that the doors were left completely flat and the design was no longer visible. After the spackle dried she gave the entire door and draw fronts an good sanding, then painted. You can see in some of the pictures that the doors and drawer fronts are completely flat, i.e. no more design. Does that make sense? I hope I’m explaining well. This is gorgeous! I love everything in this kitchen. 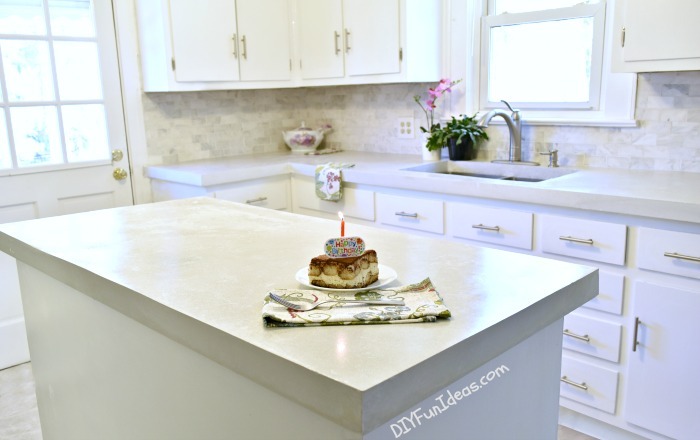 I want to try the white concrete on my kitchen island. Looking forward to the tutorial. “All girl power”, gives me a boost of confidence. I’m excited. Thank you!!! 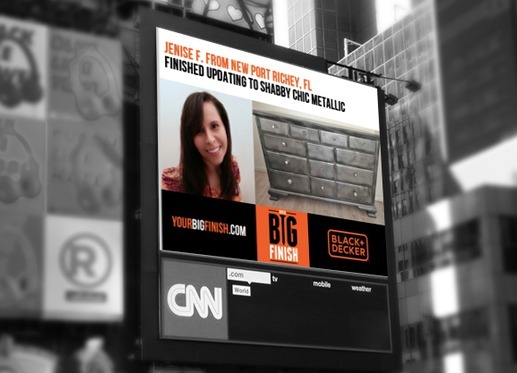 Countertops look amazing Jenise – I need you to come to Chicago and do mine!!! The Husband and I have been talking about making an outdoor prep area with a concrete counter. I can’t wait to see your tutorial. And your cousin’s kitchen looks gorgeous. 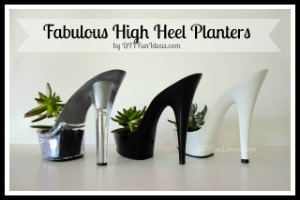 What a smart idea to fill in the design with spackle! Thanks so much Leslie! 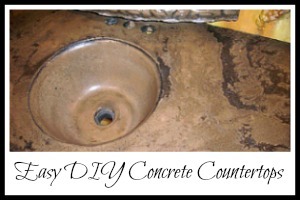 You should totally do the concrete counter. It’s really not that hard to do and it looks so awesome. Looks like my dream kitchen! I’m so impressed with the white countertops. Well done!!!! What a fabulous update! It looks a million times better than the original and I am sure your cousin will love making a home there. 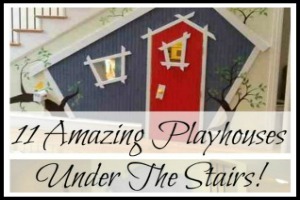 Thanks for linking up on talk of the town party! Beautiful transformation. I redid my kitchen a few years ago and it is life changing. Thank you for sharing yours. In one word “AWESOME”!!!!!! And in several words…..let’s toast to “Girl Power”. Thank you so much! We are pretty proud of ourselves. To girl power!!! Beautiful! So my cabinets are not solid wood, but plywood with veneers. Do you know if this type of cabinet could support the weight of the pour in place concrete? I’m trying to decide if I should do this, or if I should go with your overlay method on my existing laminate tops instead. Thank you! 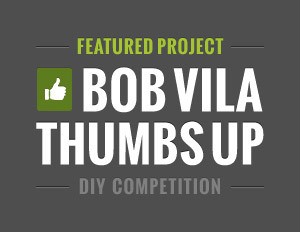 materials are probably low grade, cheap things..
We are doing a full kitchen remodel ourselves. Trying to convince my husband that we can do this! Sorry, sorry, sorry, Aly! I’m working on it right now. Hoping to have it up tonight or tomorrow. And tell your hubby I said you guys can definitely do this. It’s a bit of work, but none of it is particularly difficult, just time consuming. Wow! This looks incredibly cool and so beautiful! I just demolished the counter top on our outdoor kitchen and would love something like this out there. I’m in love with it! Bravo! Thank you so much Tina! I bet something like this would look amazing in an outdoor kitchen! GREAT and I do mean GREAT job Jenise!!! Looks absolutely beautiful! 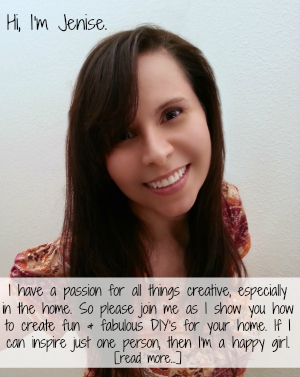 Ready to tackle my kitchen? What was the total cost of the materials for this project? It looks so good! There was also a shipping cost, I think around $400. But if you order before the end of the month, you’ll get 15% off using the promo code in the tutorial. Where did you get the backsplash? Can you share where the floor tiles are from? I think it is exactly what I’m looking for. It looks beautiful , great job! I’m looking to use this same color scheme in my kitchen. Can I ask what color you guys chose for the walls? I can’t see any of the walls in the pictures :) If you don’t know the exact color name that’s ok just an idea would be great. Thanks! 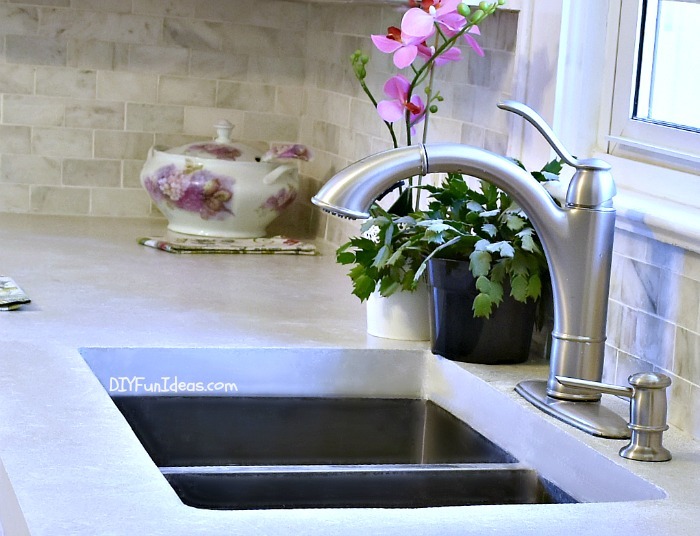 can I pour concrete over granite counter tops? 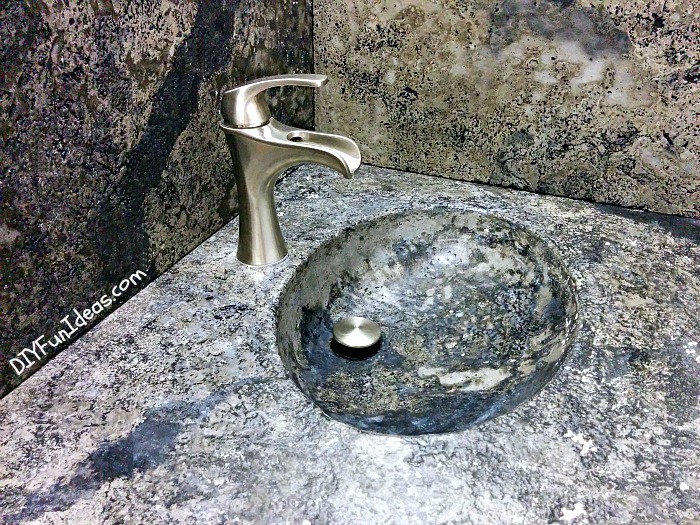 I would imagine that it would be difficult for concrete to adhere to smooth granite countertops.